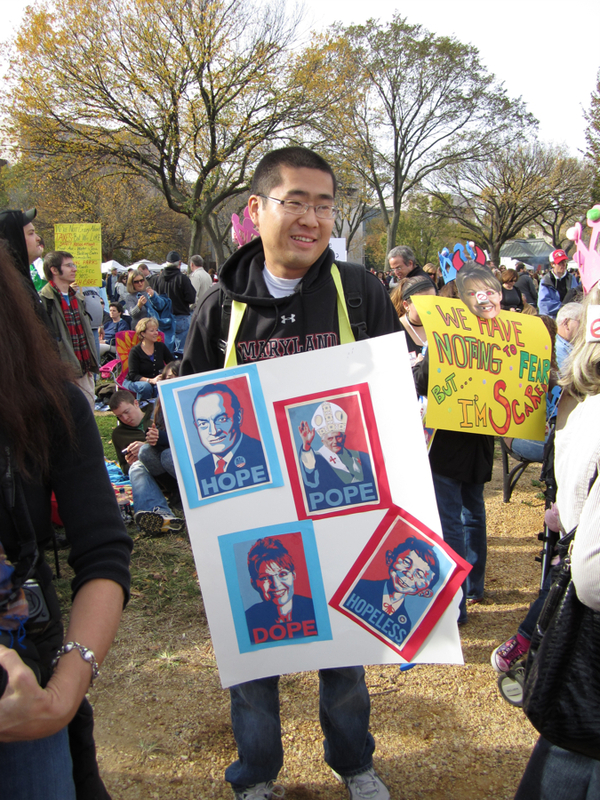 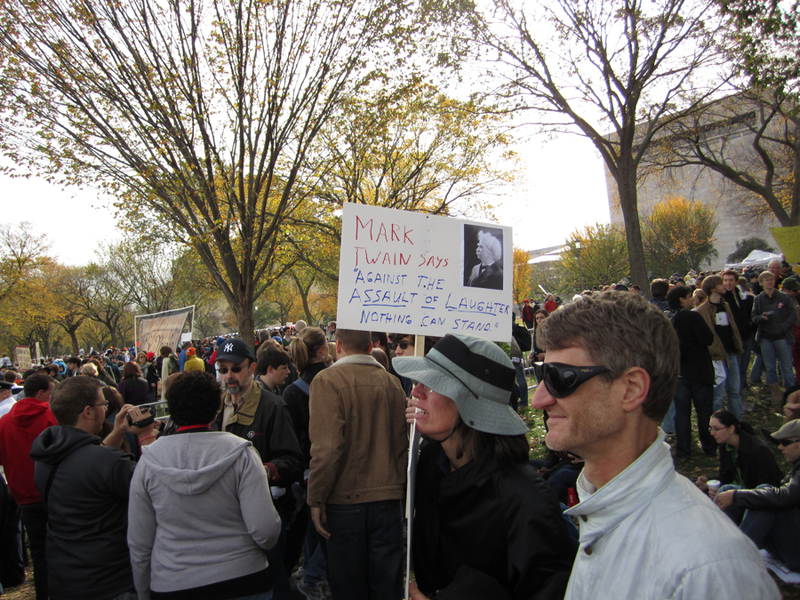 We traveled down to Washington DC to visit our niece, Sarah, and take in the Rally to Restore Sanity and/or Fear. 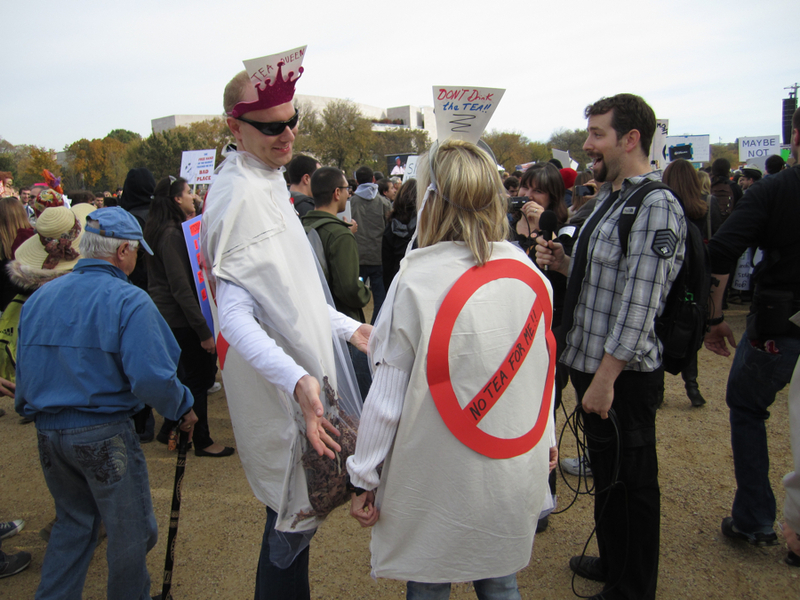 We had no idea what to expect at the Rally but in the end we thoroughly enjoyed it. 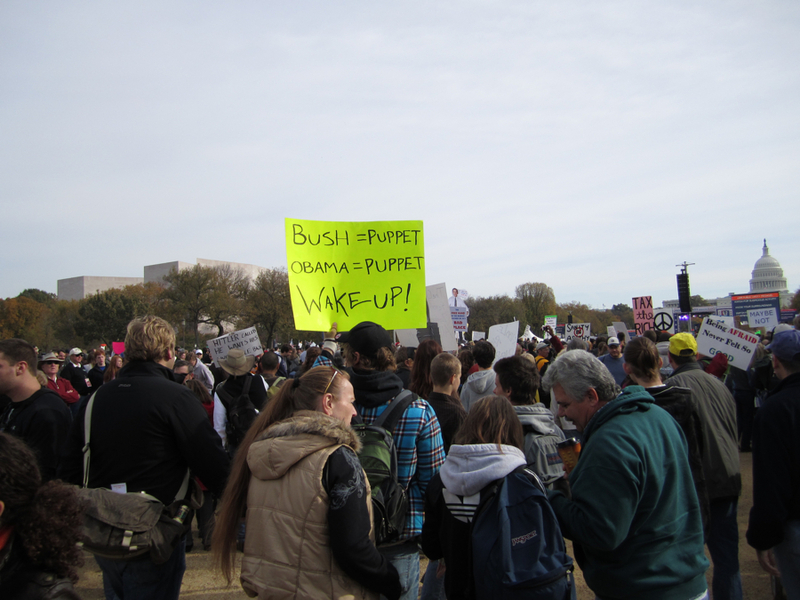 It kept getting referred to as a political rally in the news media, but that couldn’t be further from the truth. 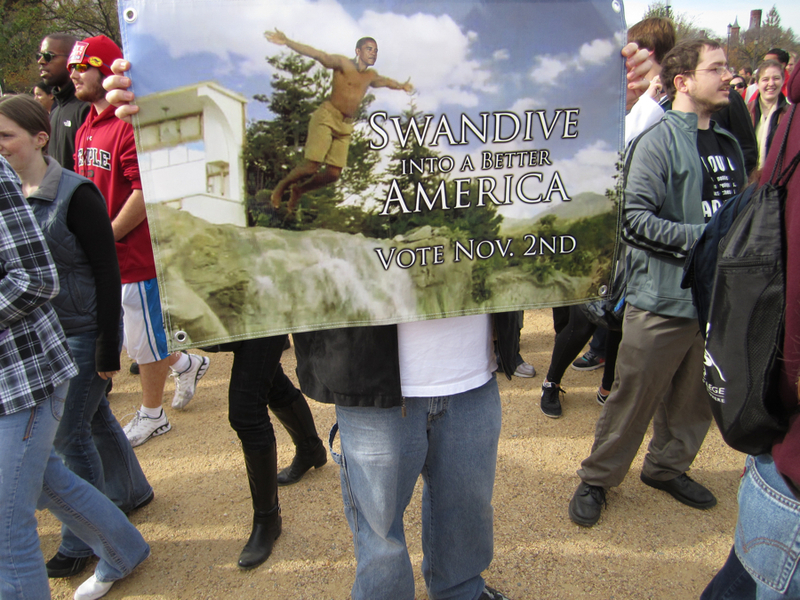 Maybe the reason the media hadn’t a clue is the same reason that causes Stewart and Colbert to send them up constantly. 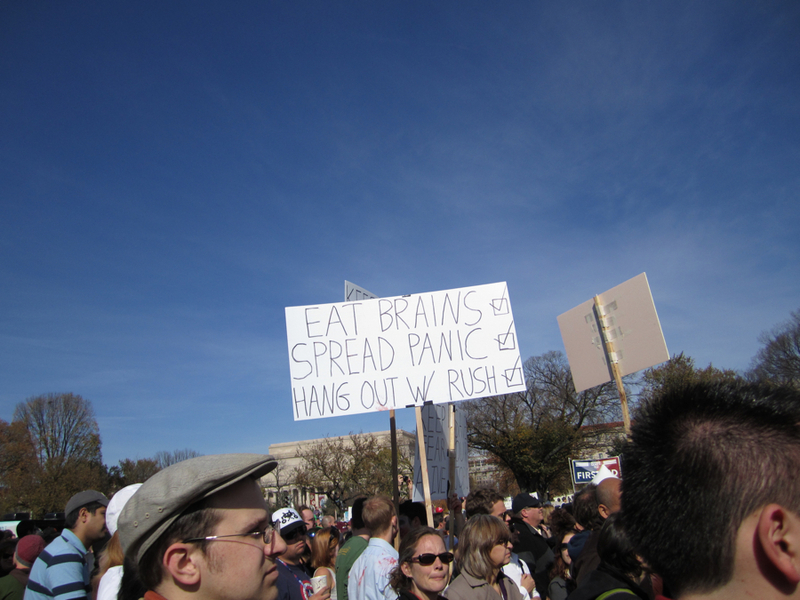 The Rally, as advertised, was simply a celebration of moderation. 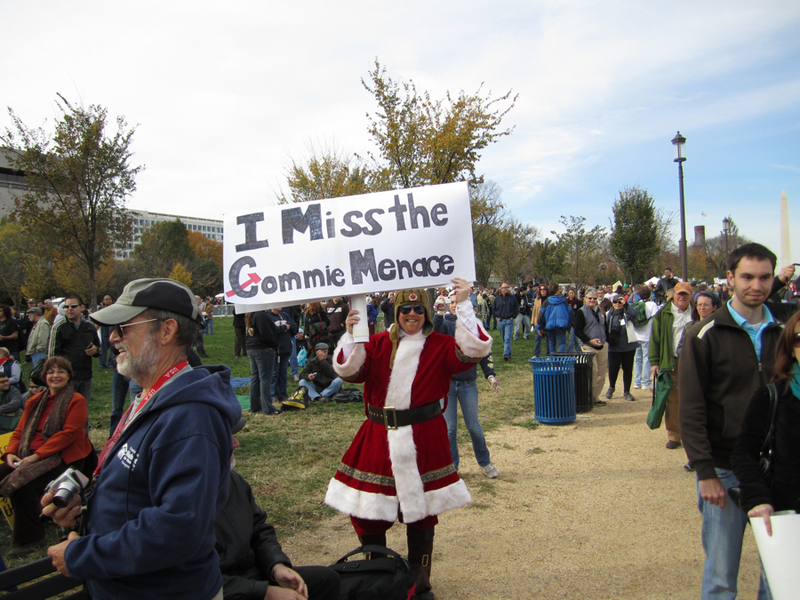 For the most part, the crowd got it. 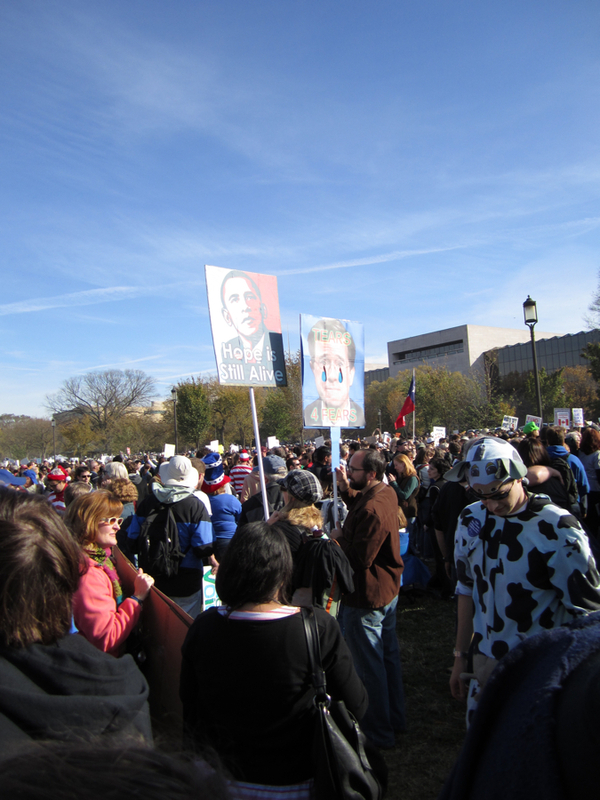 There were only a very few political hacks trying to horn in, and even they were reasonable. 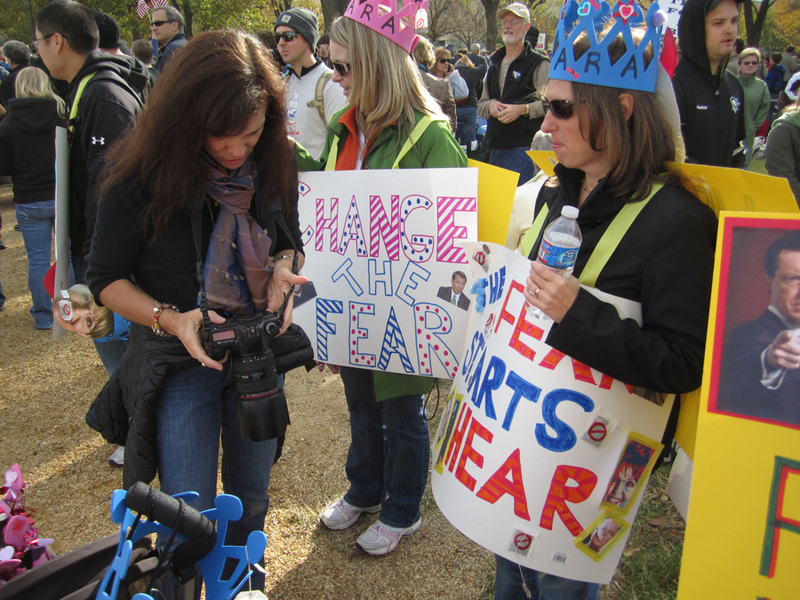 The press can hold its magnifying glass up to our problems, bringing them into focus, illuminating issues heretofore unseen. 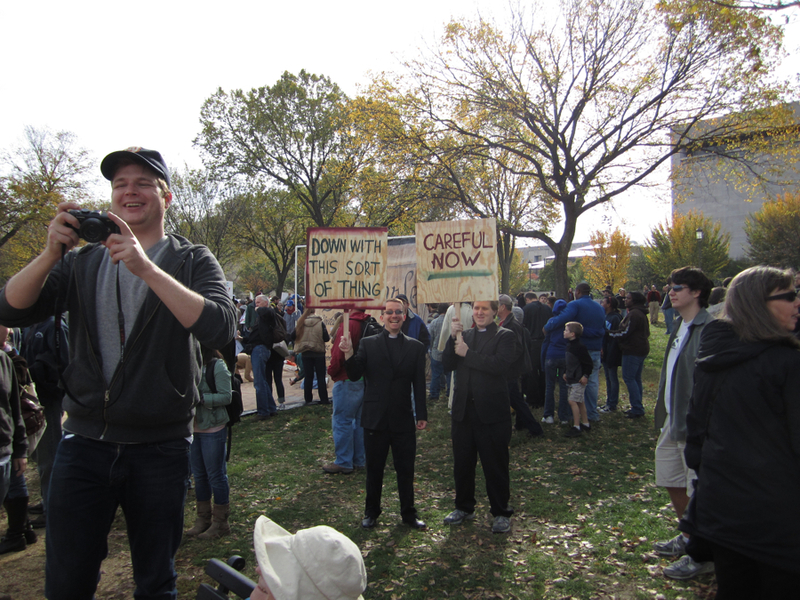 Or they can use that magnifying glass to light ants on fire. 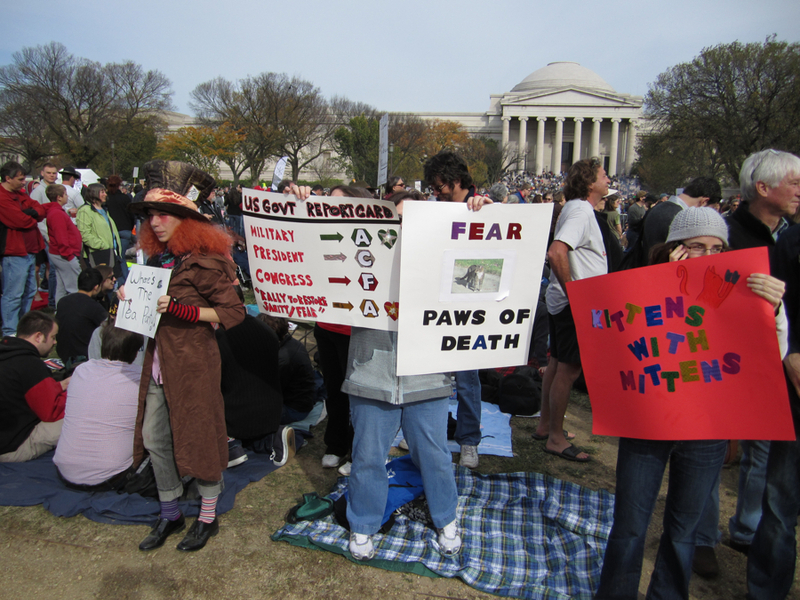 And then perhaps host a week of shows on the sudden, unexpected, dangerous flaming ants epidemic. 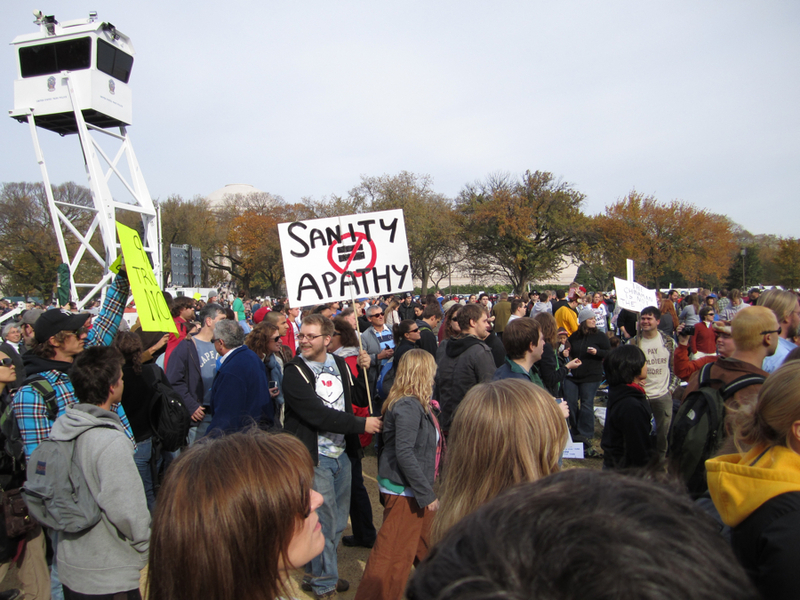 If we amplify everything, we hear nothing. 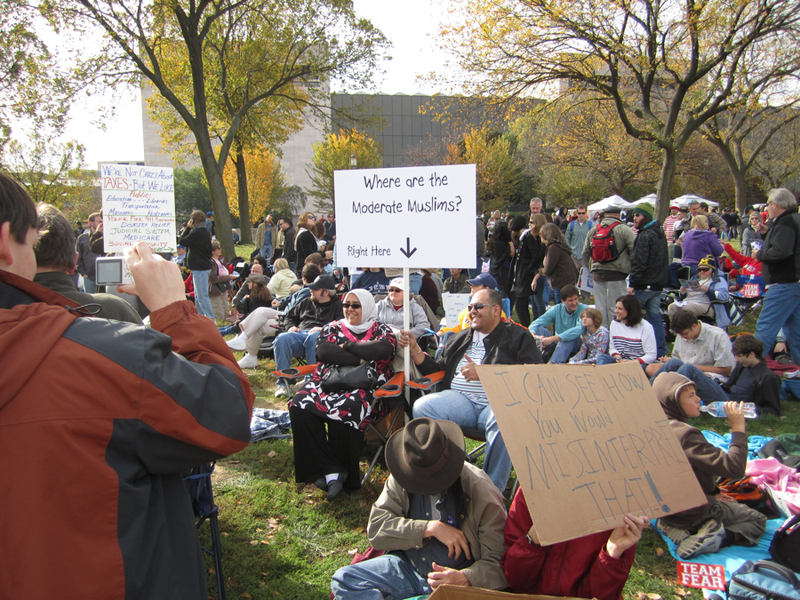 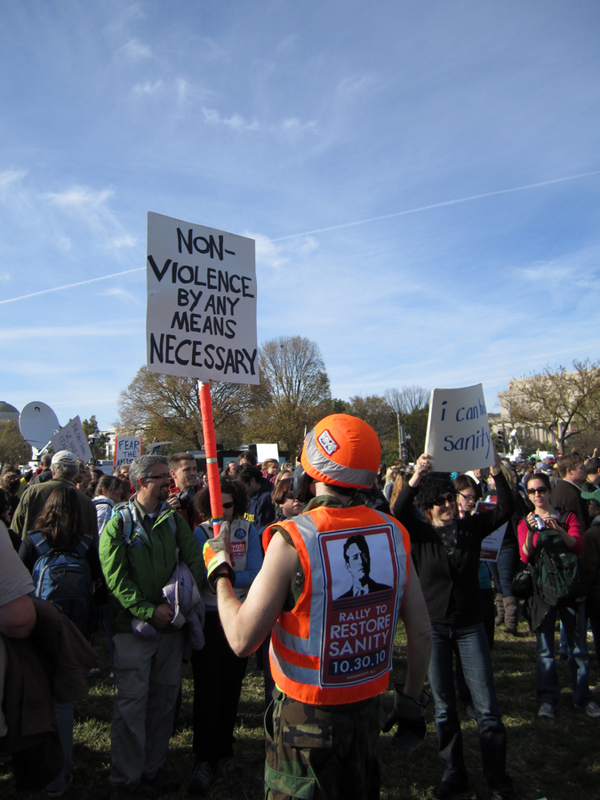 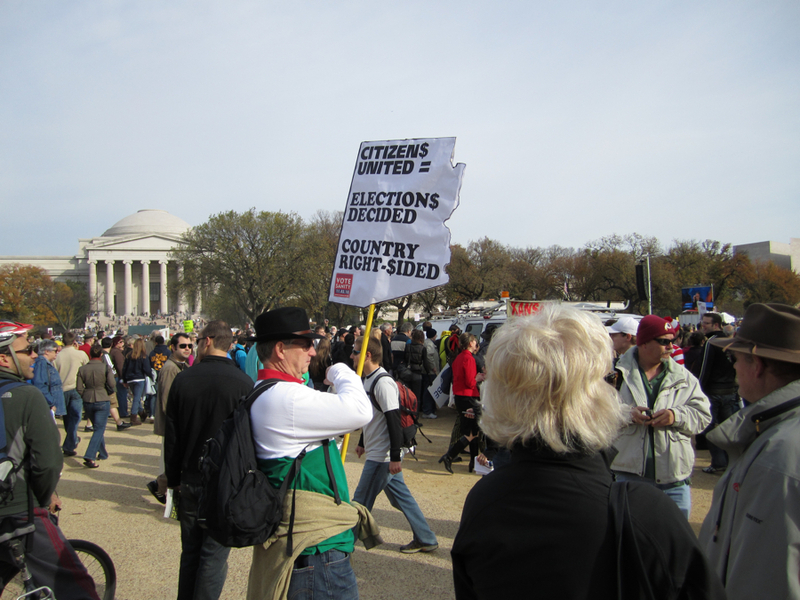 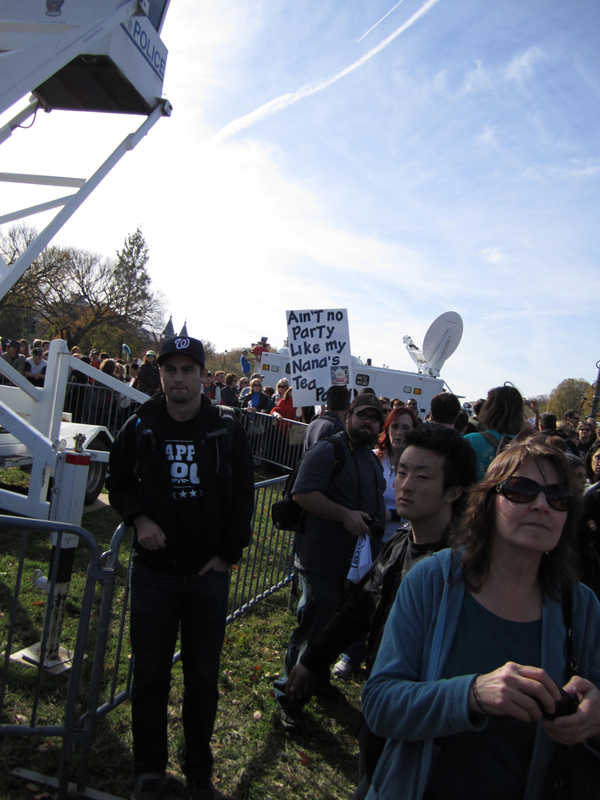 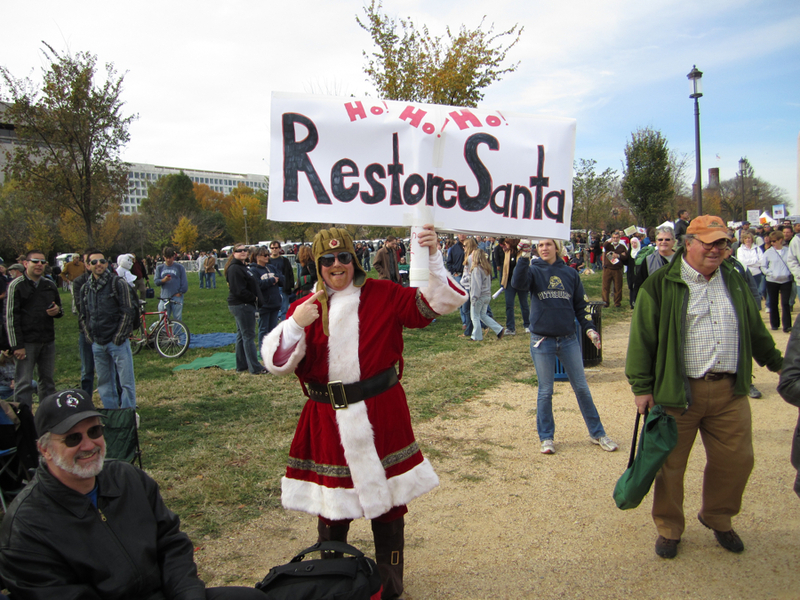 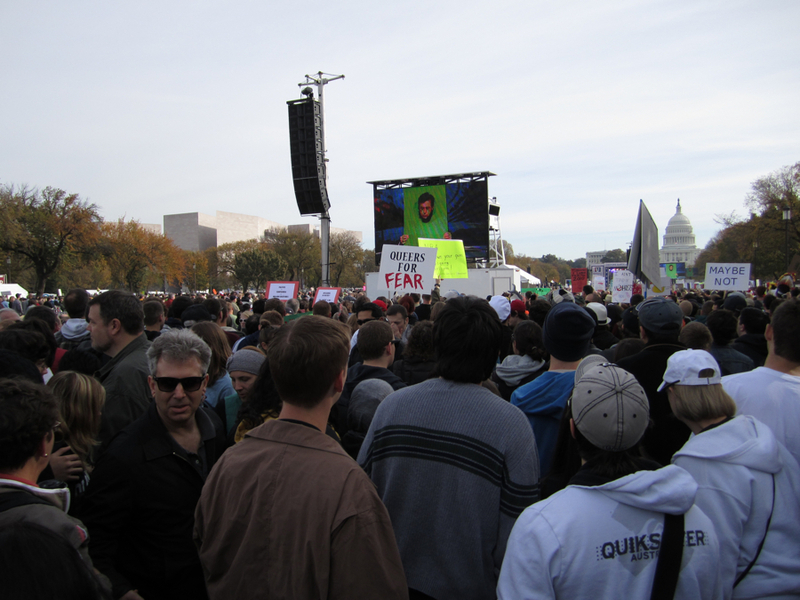 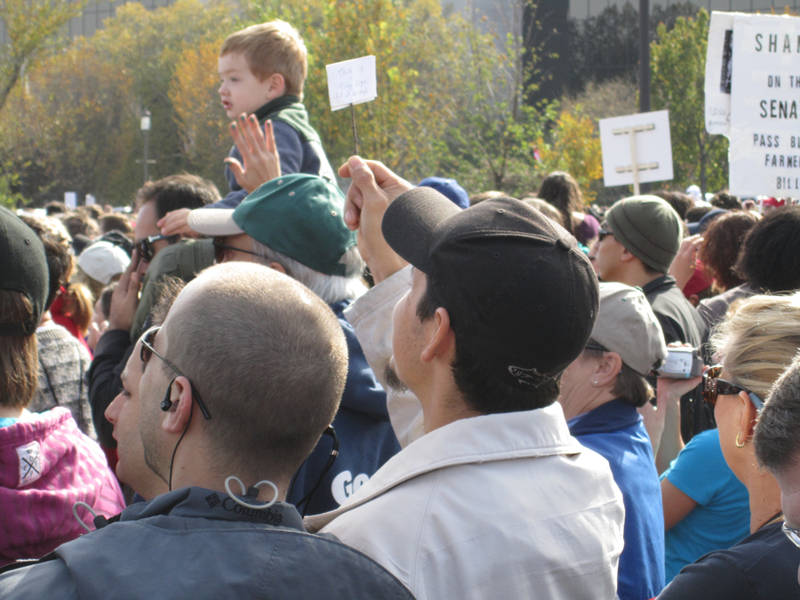 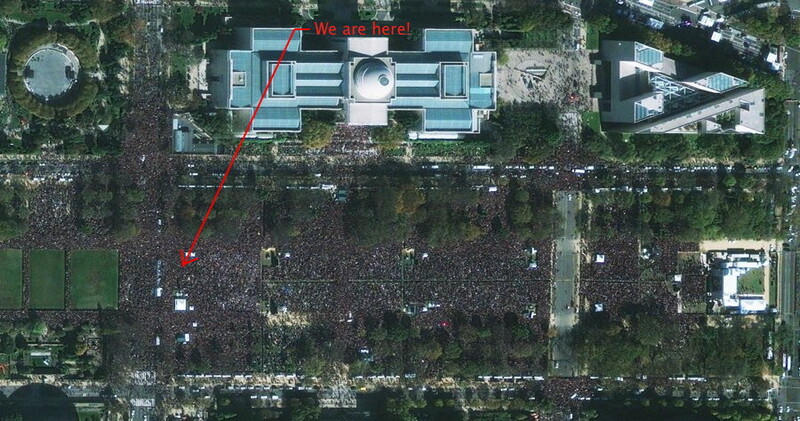 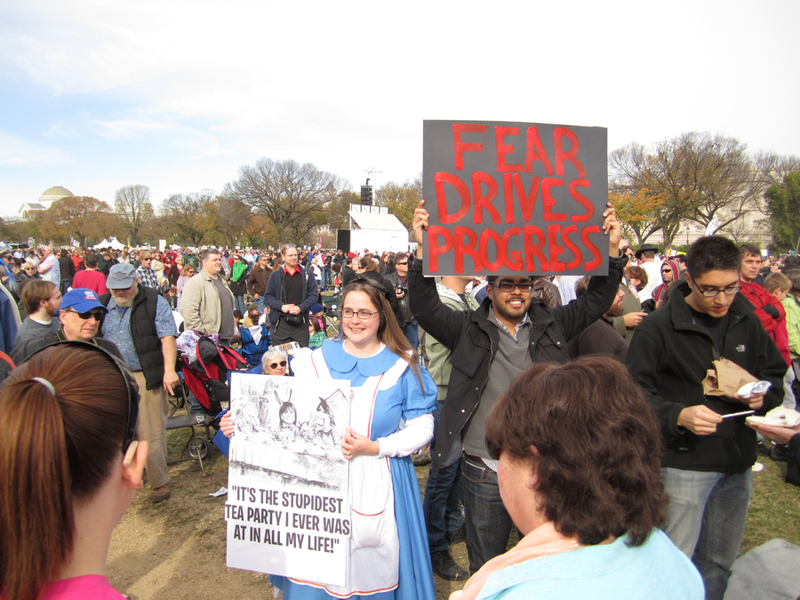 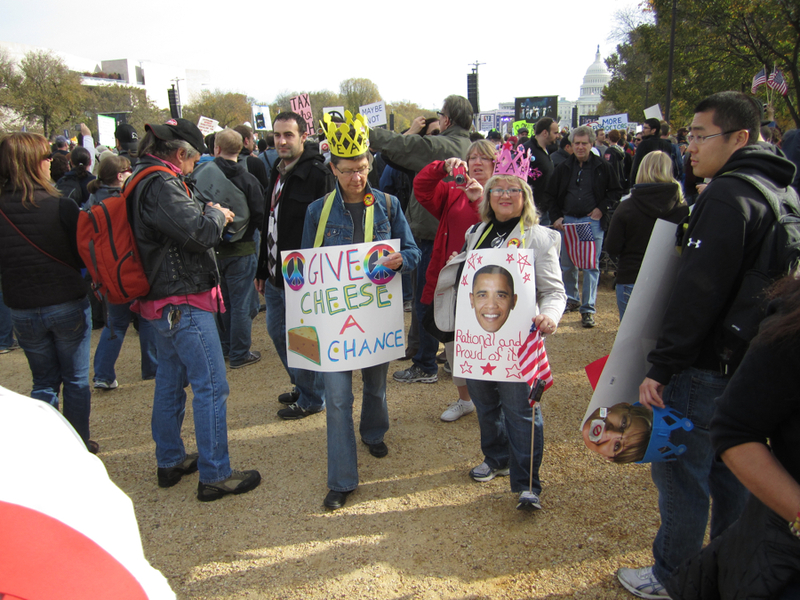 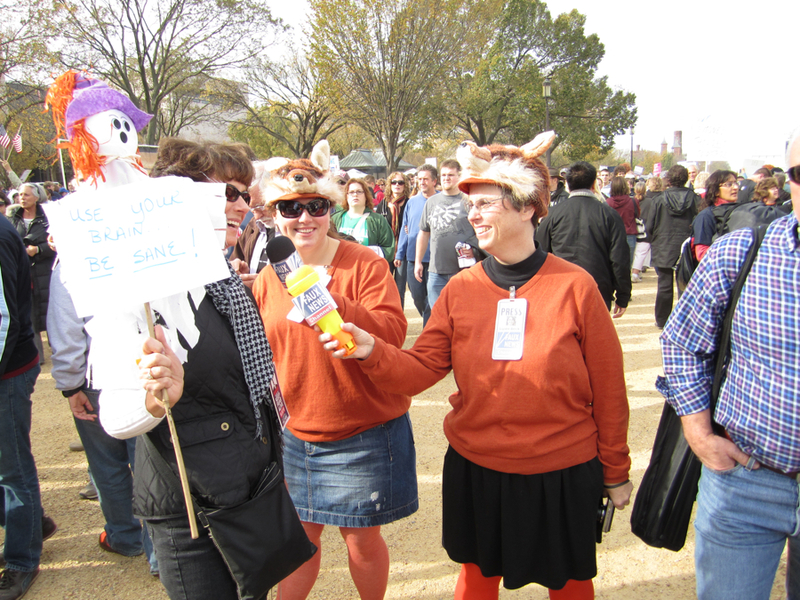 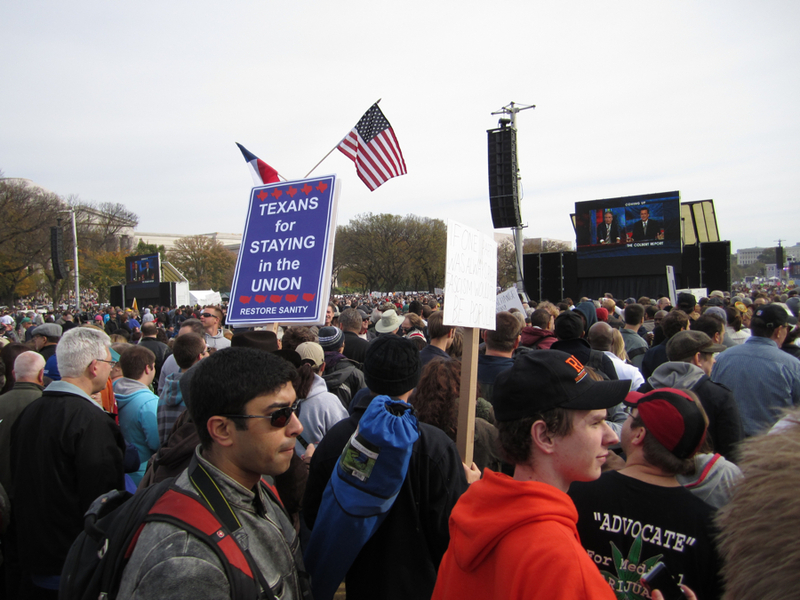 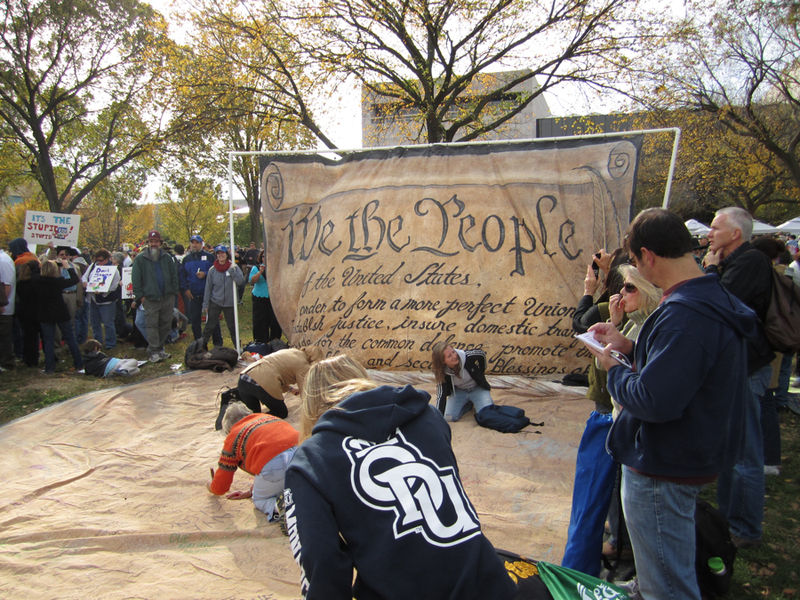 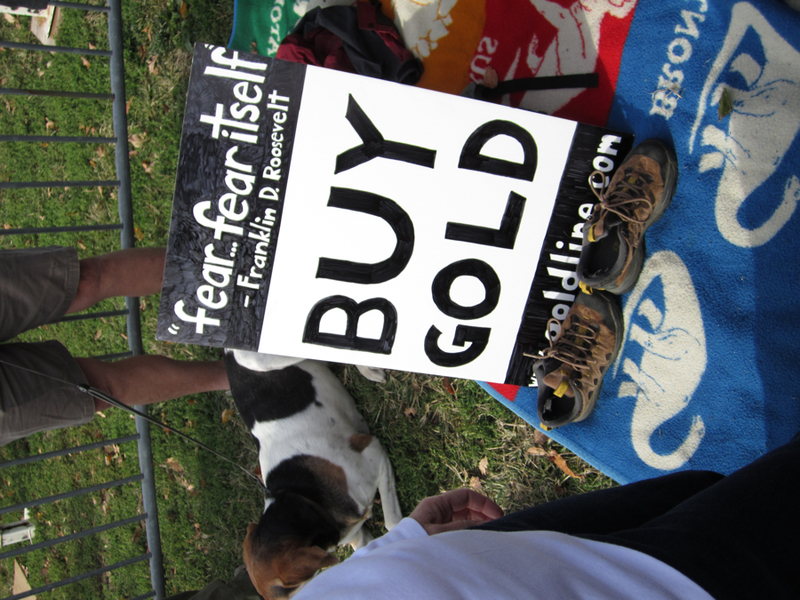 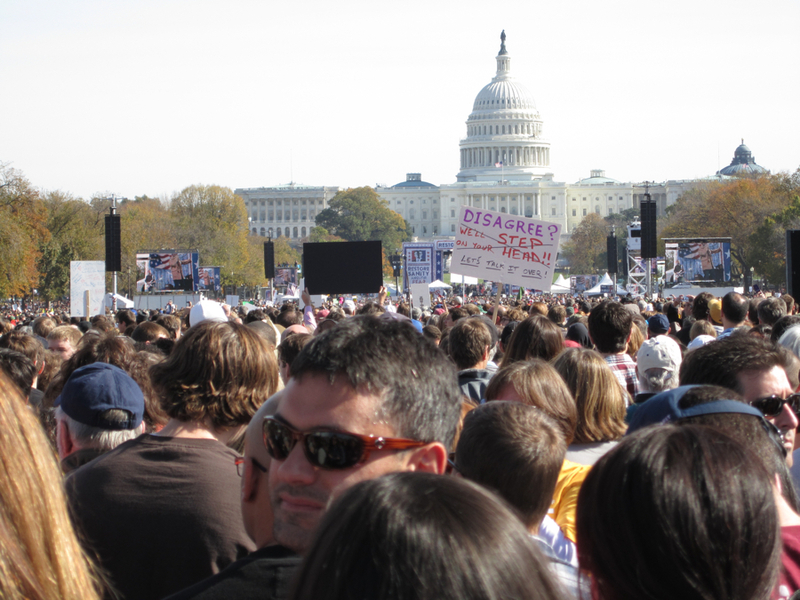 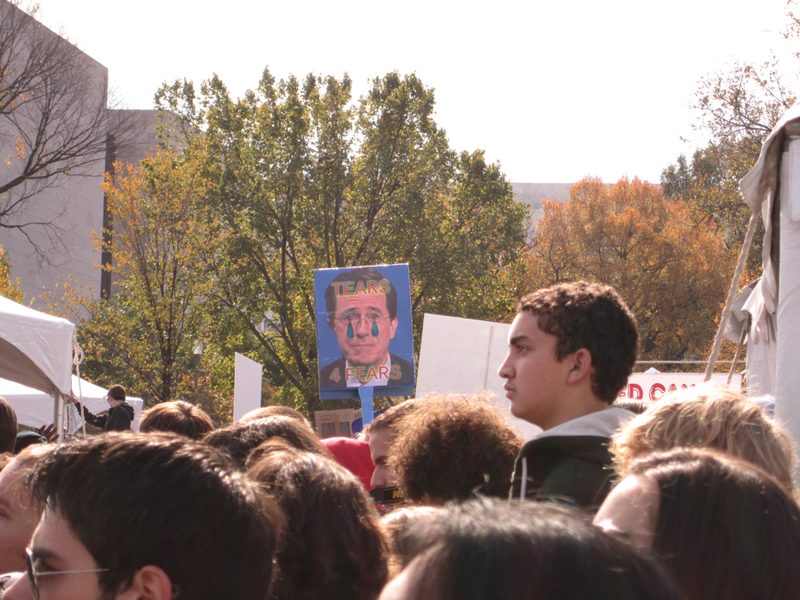 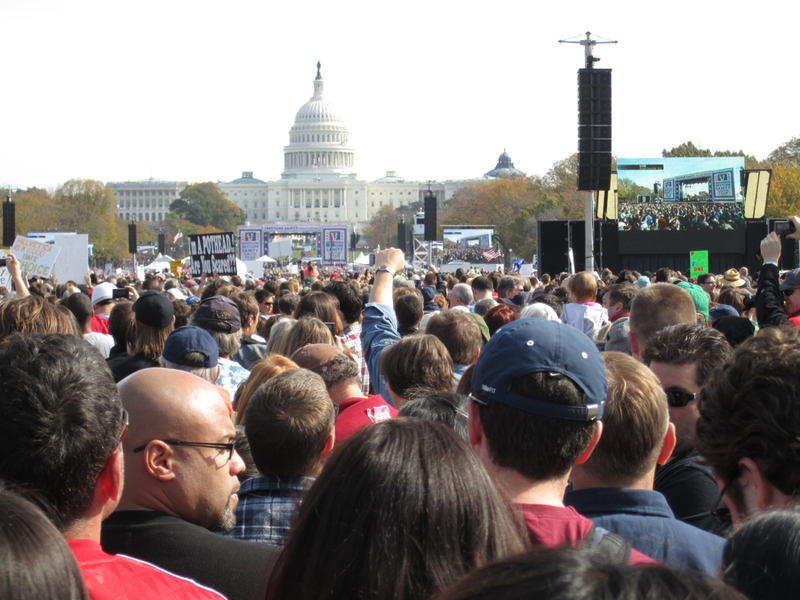 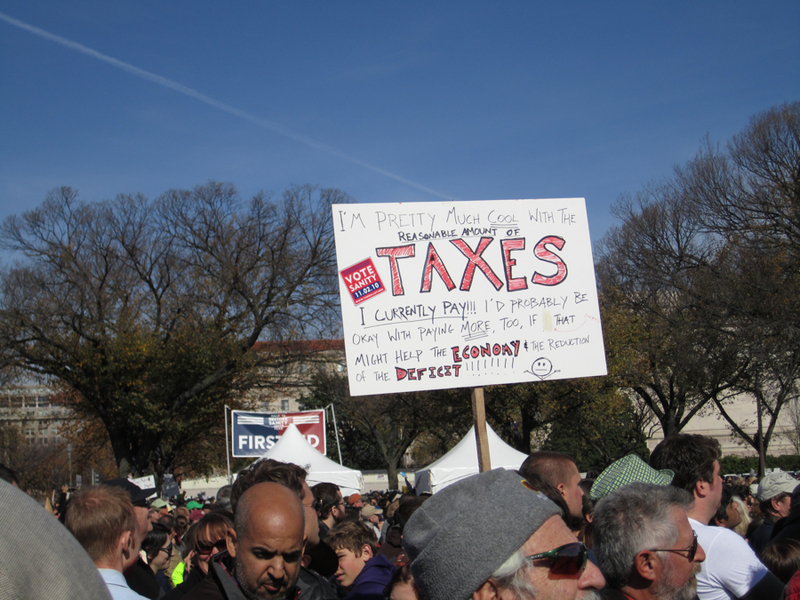 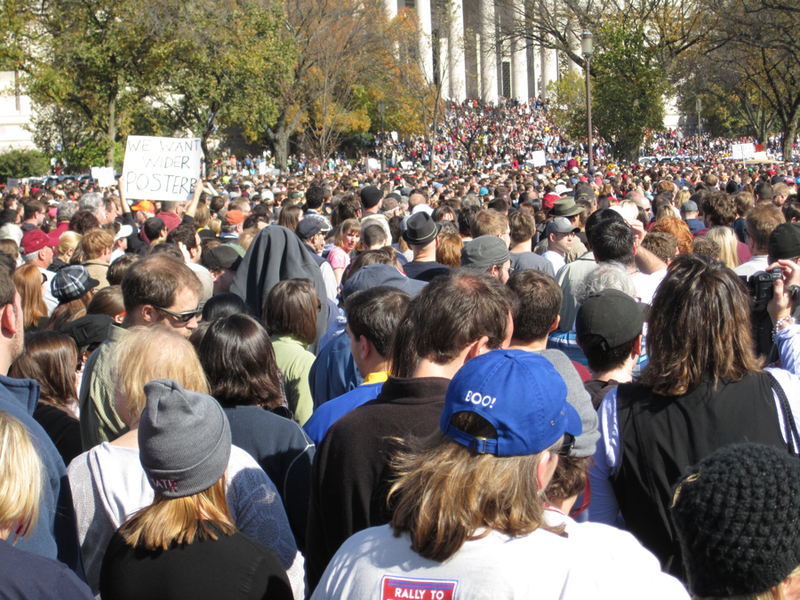 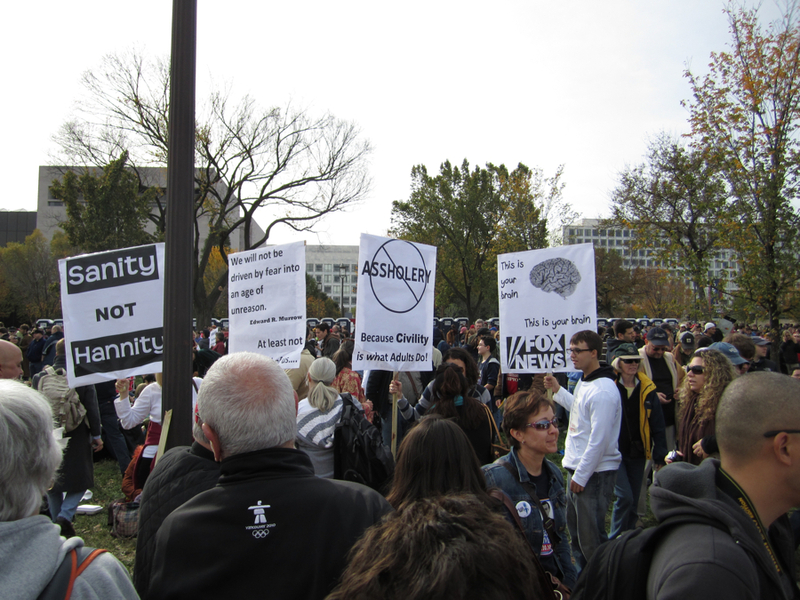 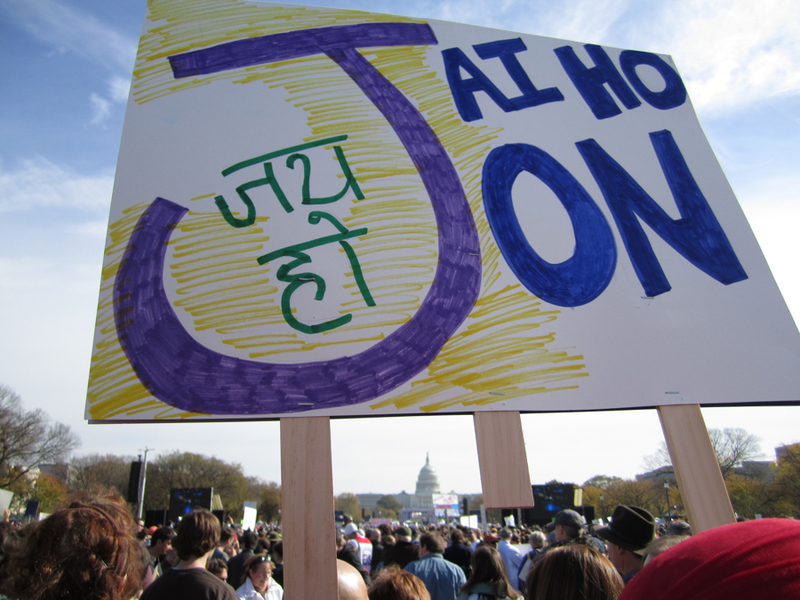 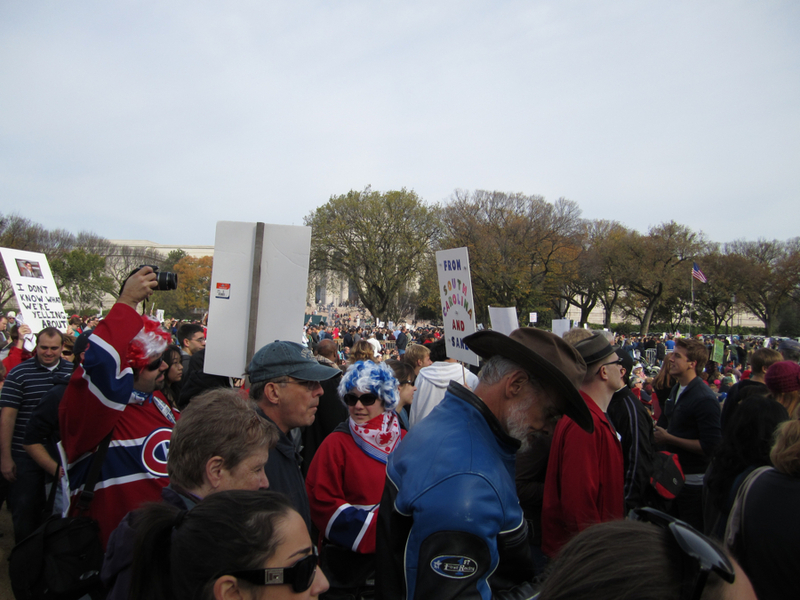 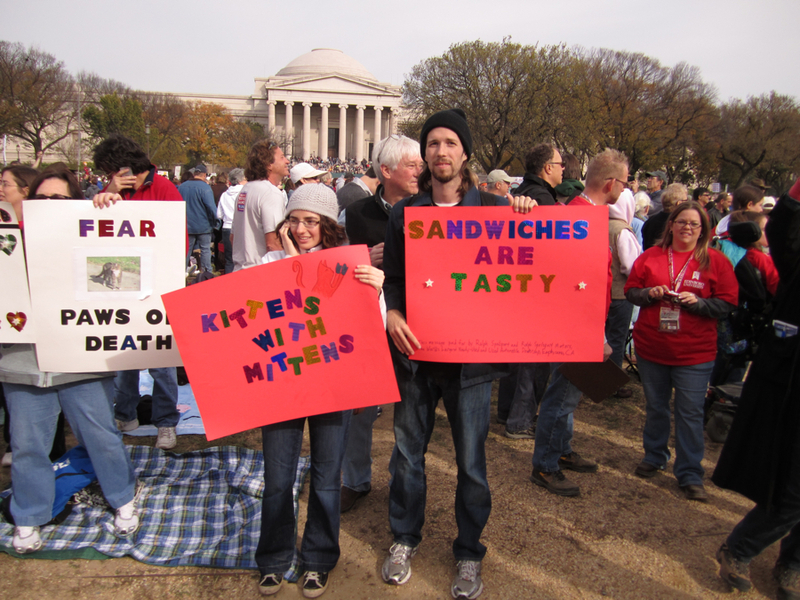 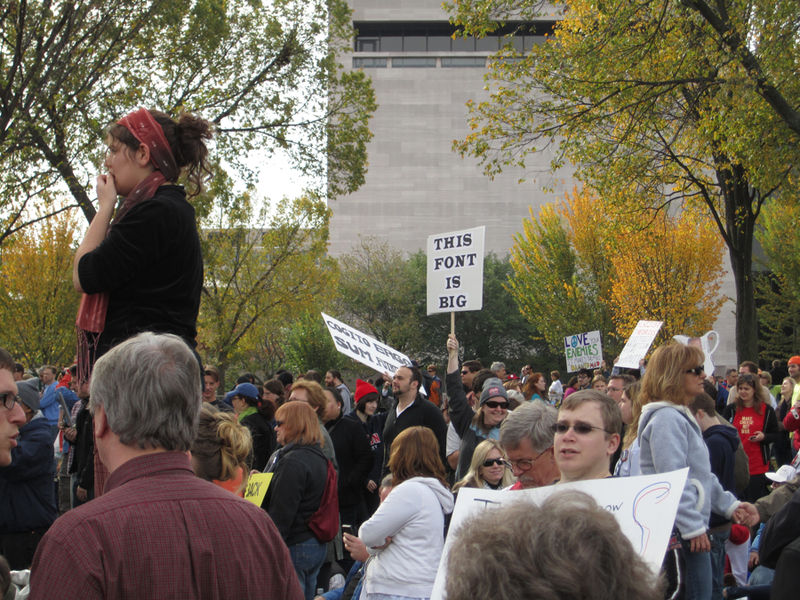 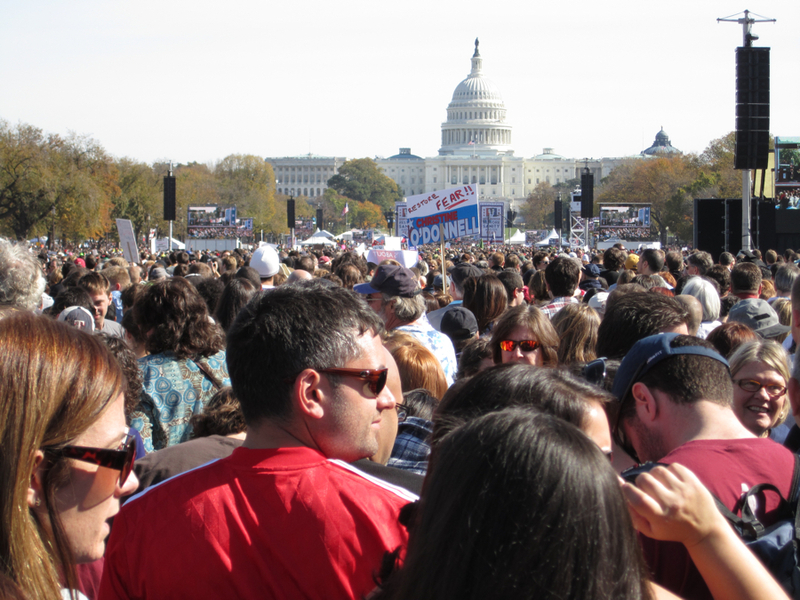 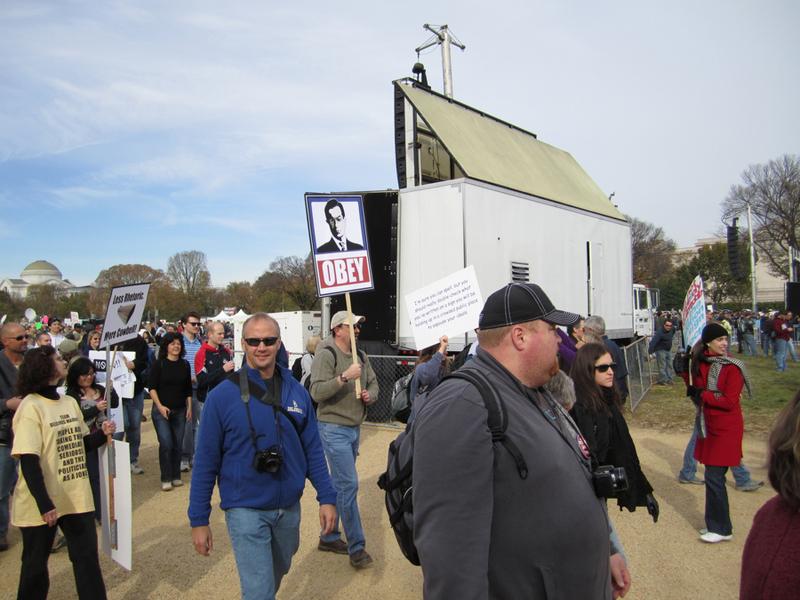 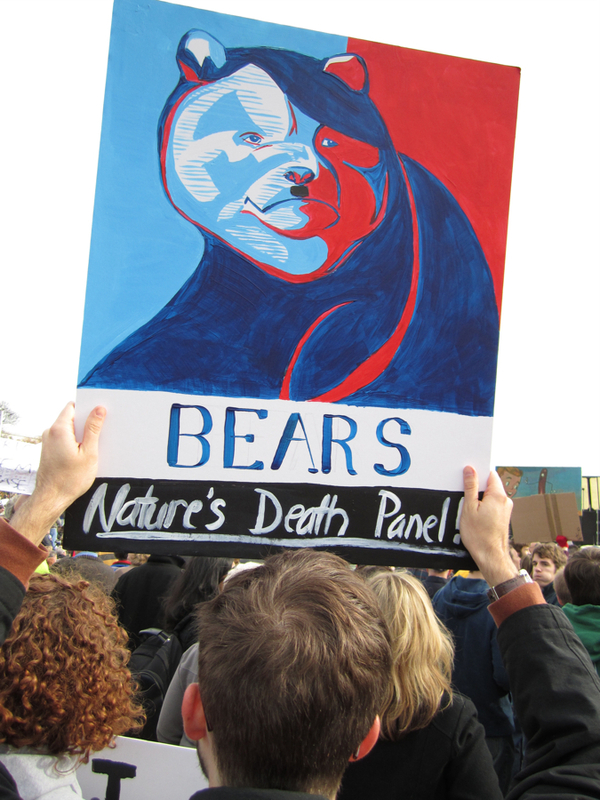 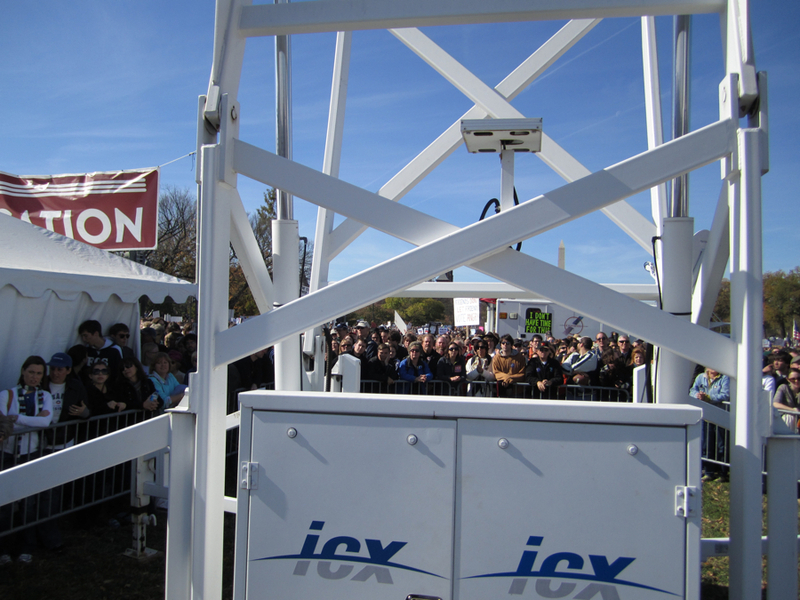 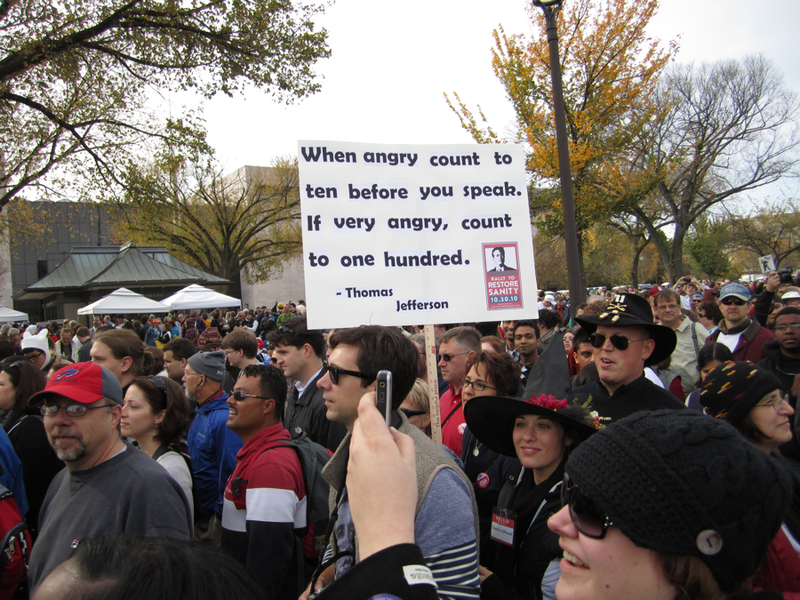 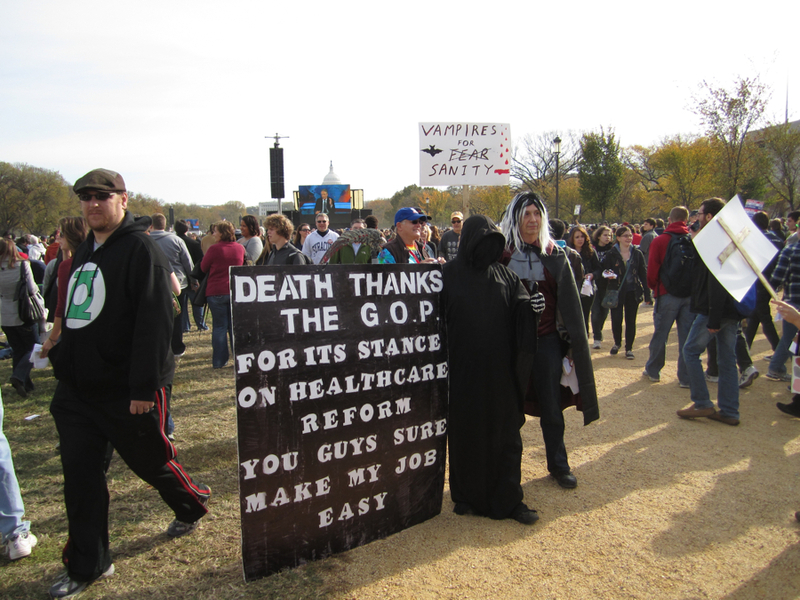 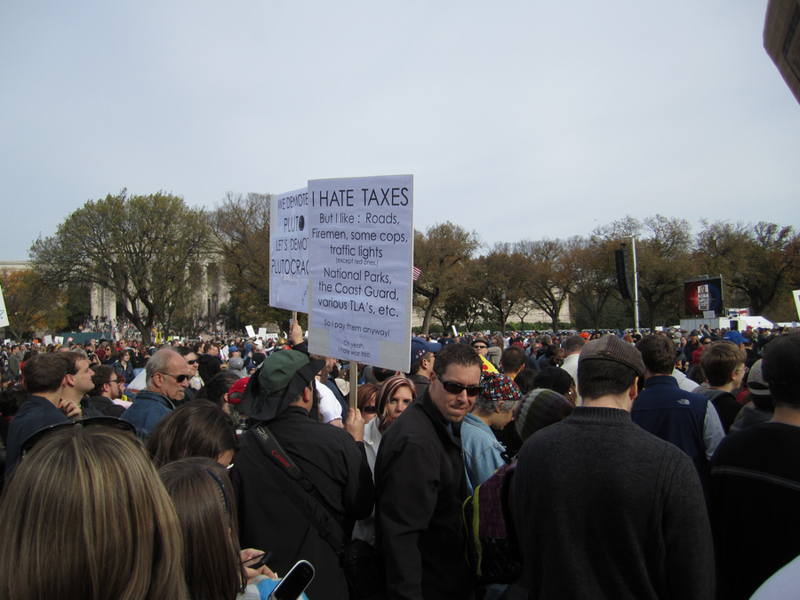 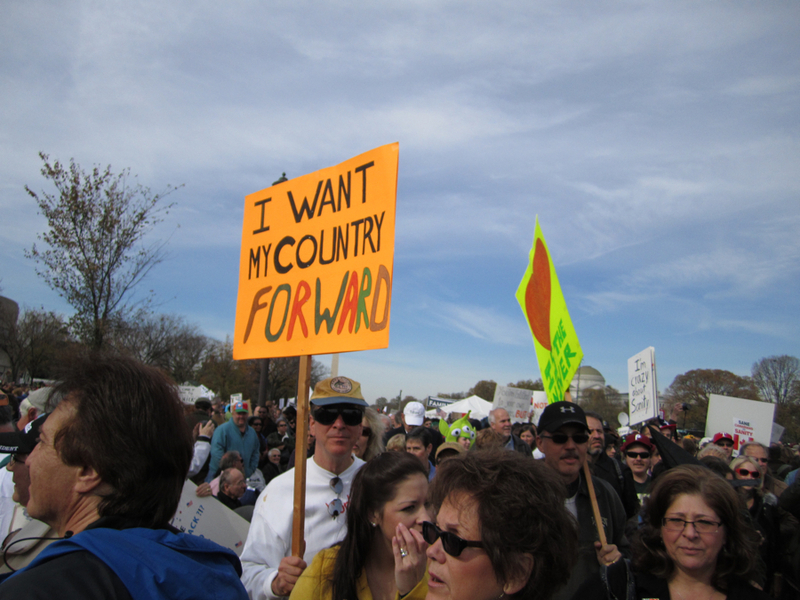 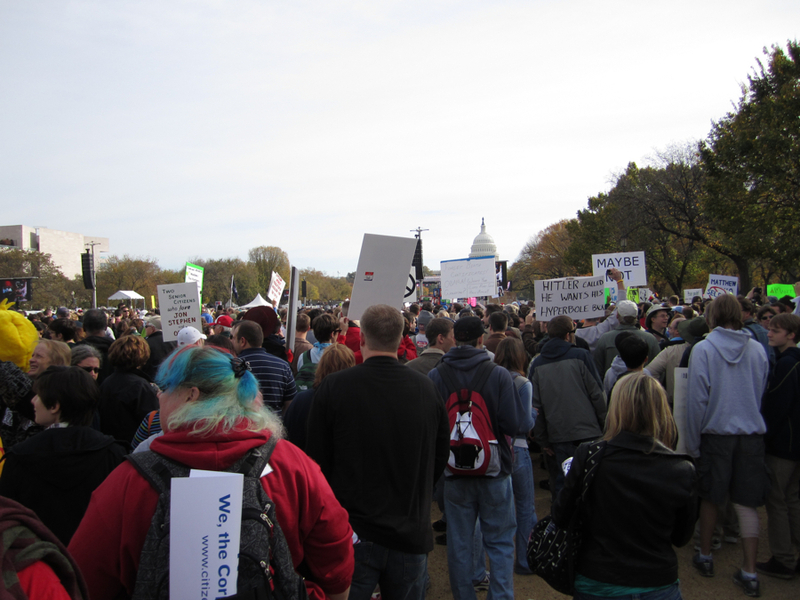 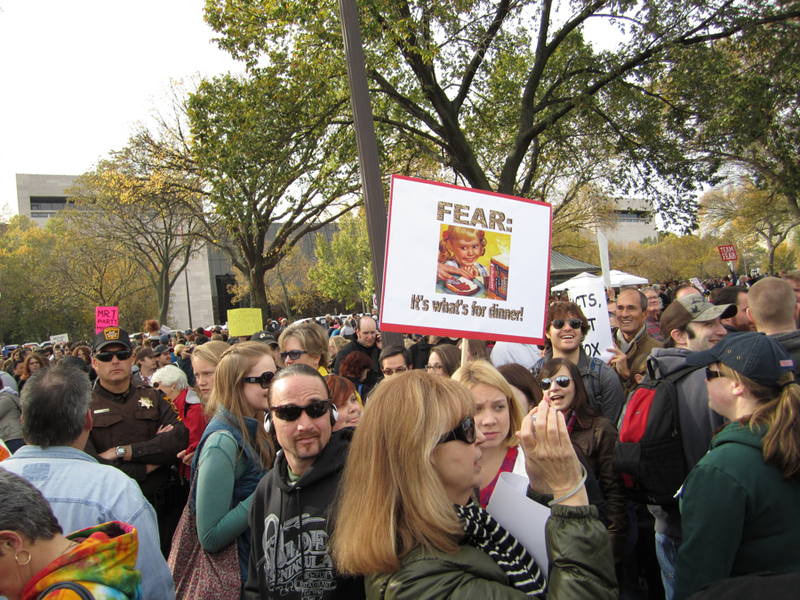 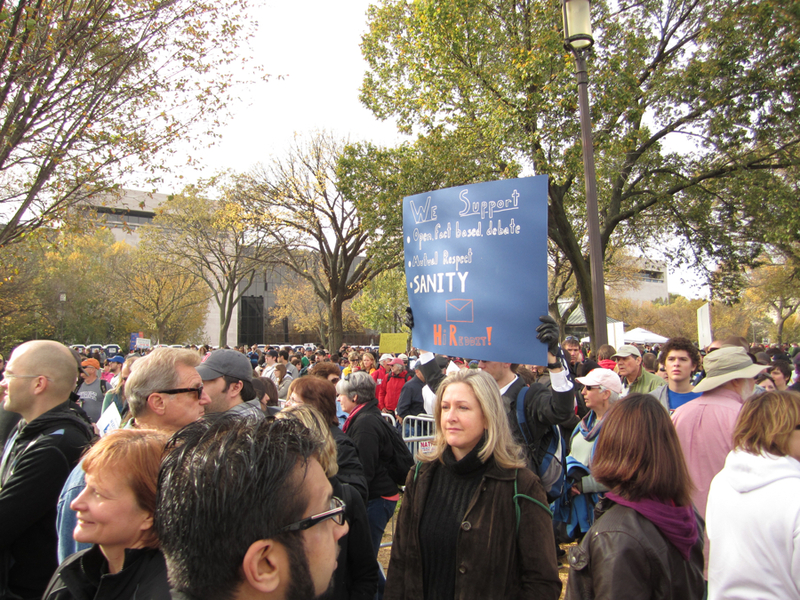 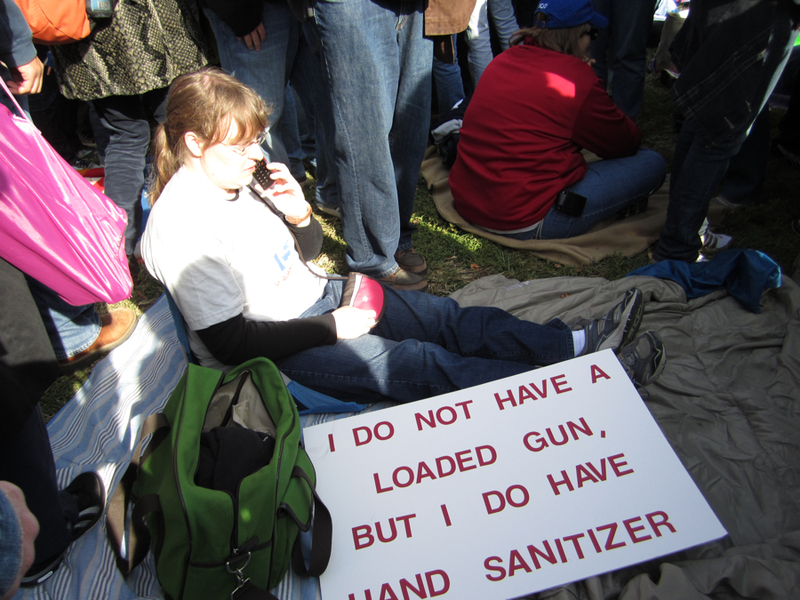 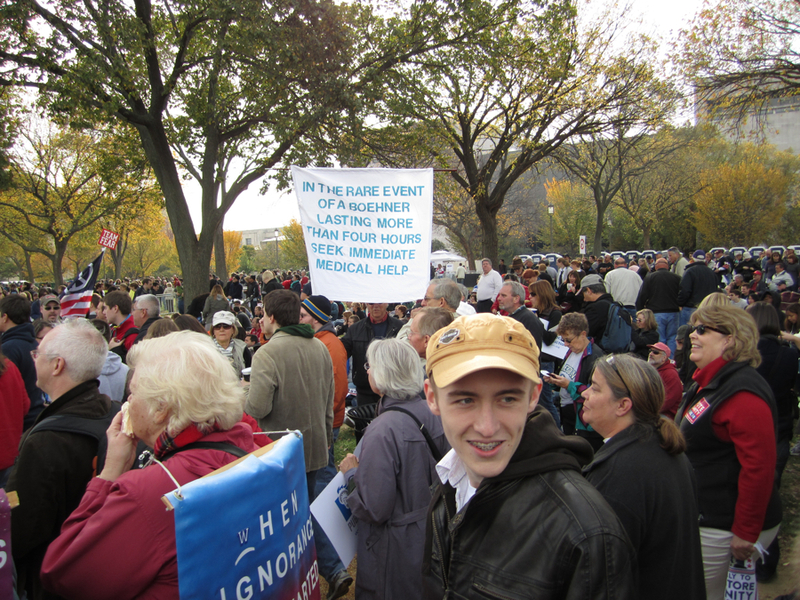 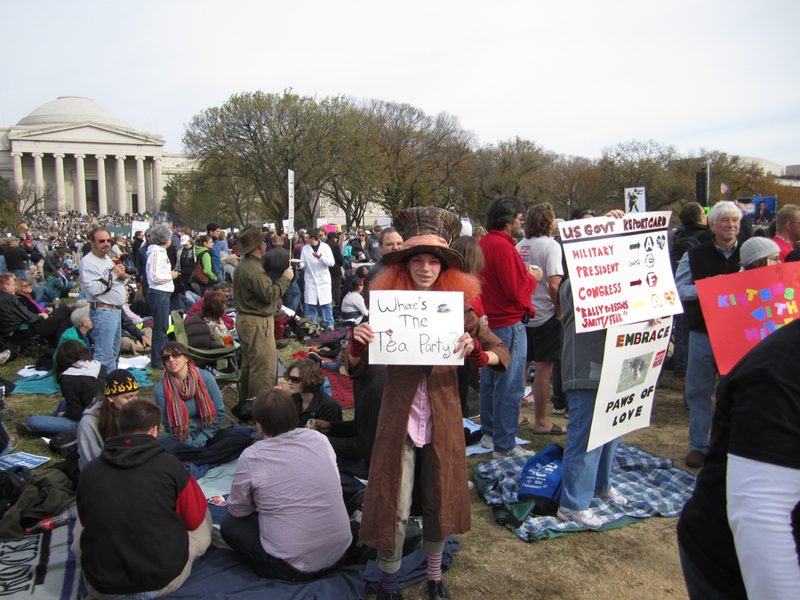 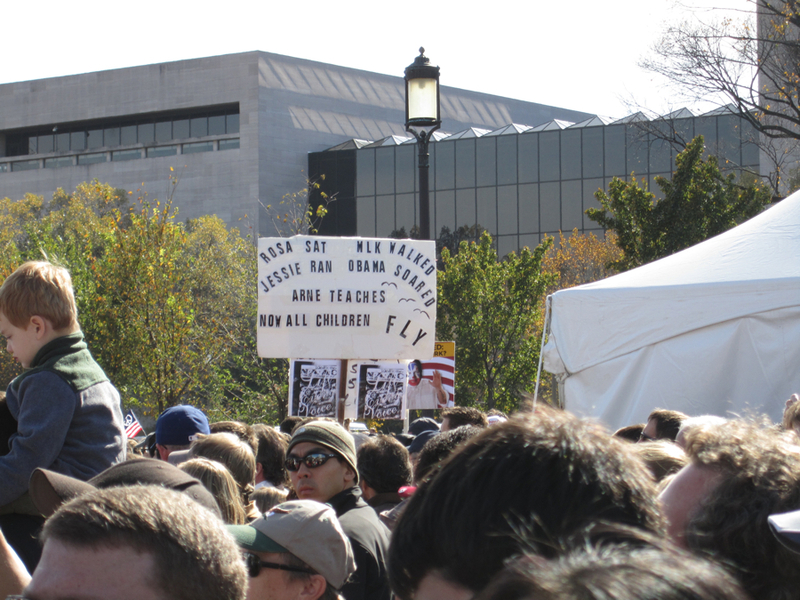 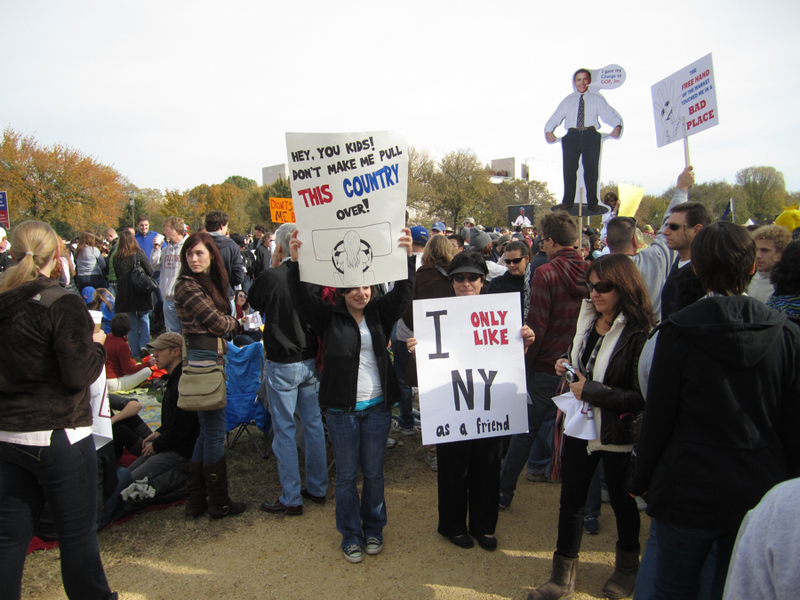 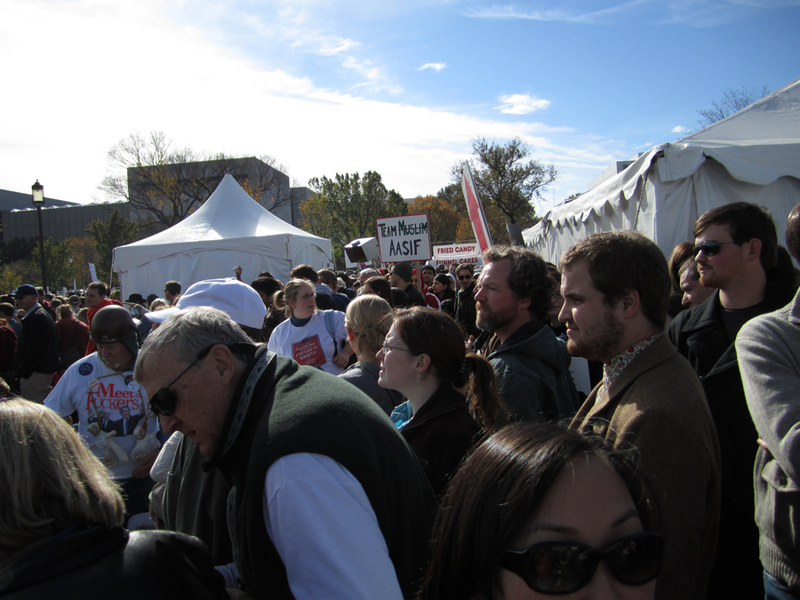 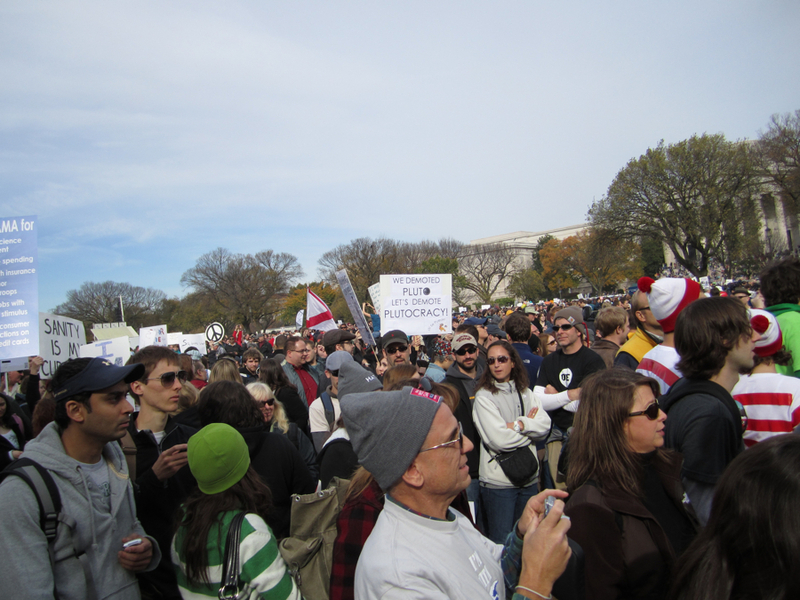 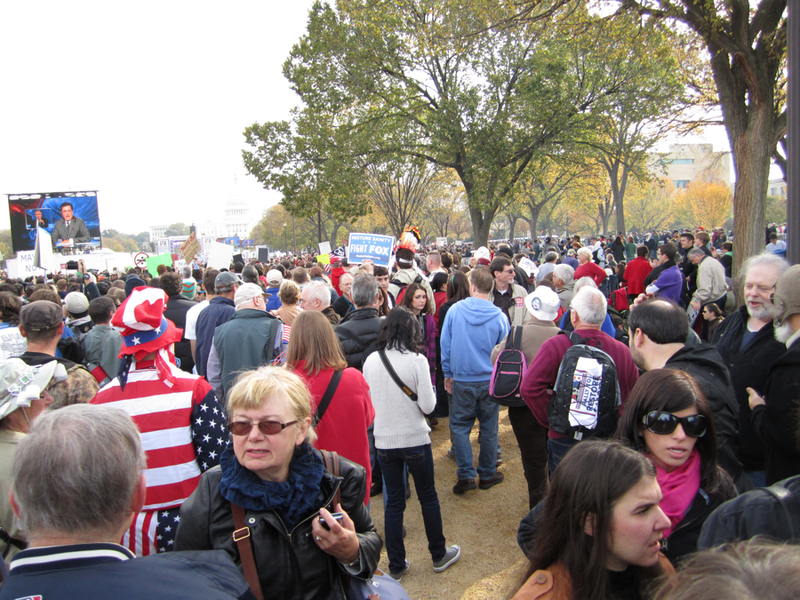 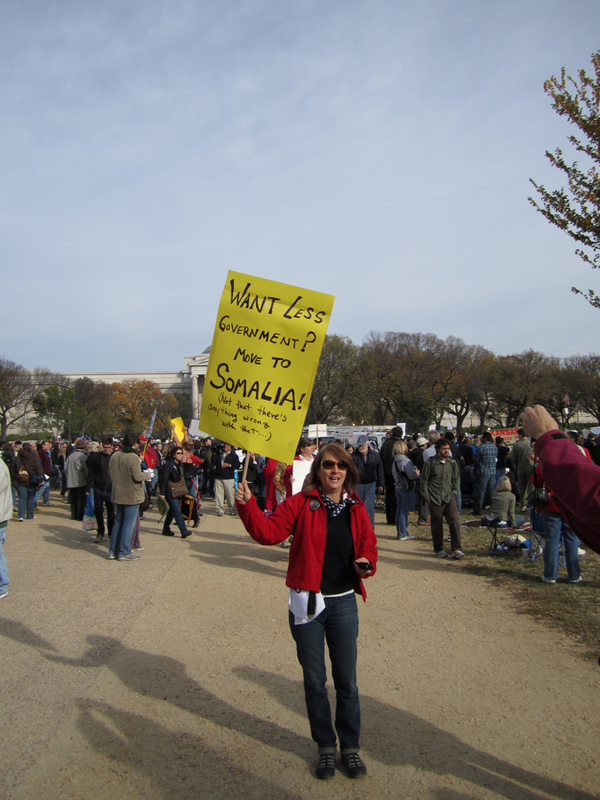 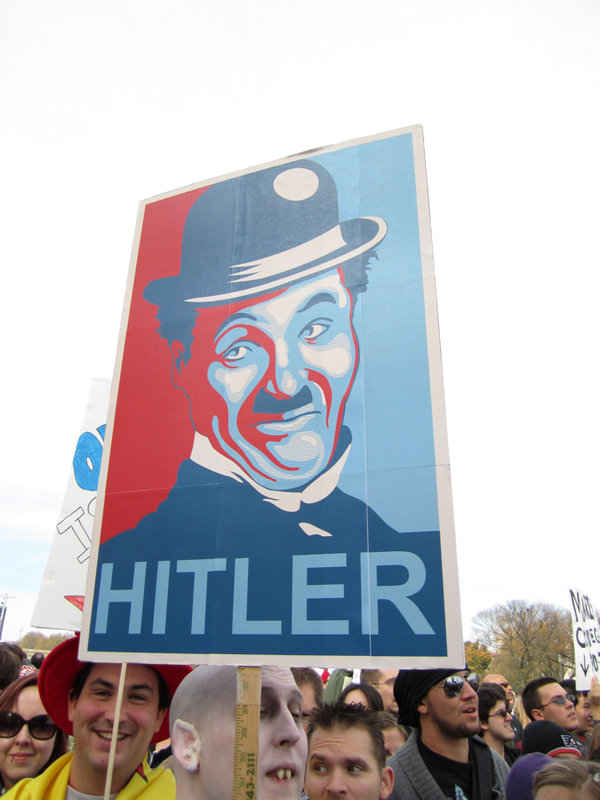 This image of the Rally to Restore Sanity and/or Fear on October 30th, 2010 was collected by the GeoEye-1 satellite. 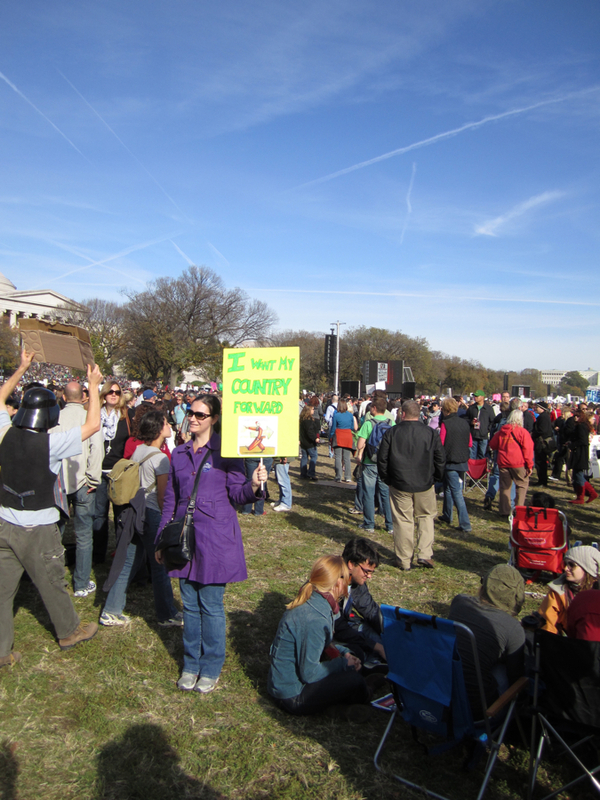 It shows the far eastern end of Washington’s National Mall. 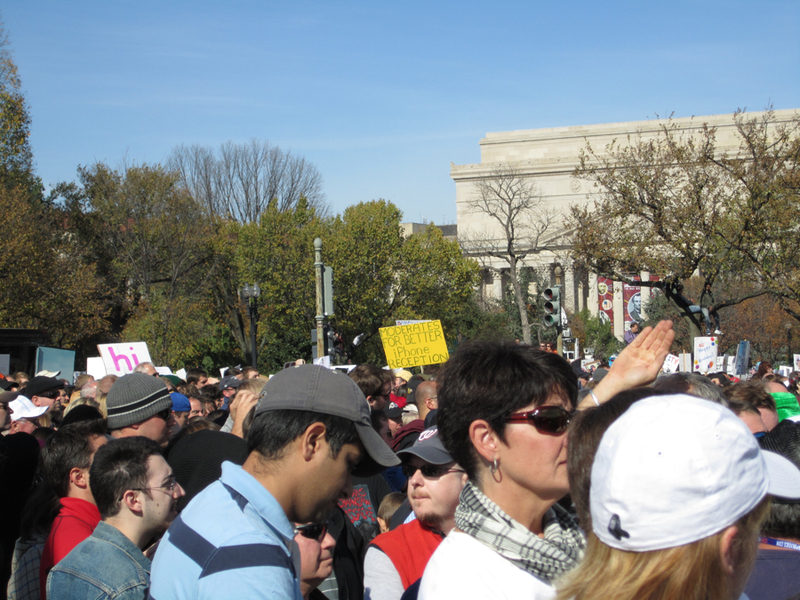 At the top of the image is the National Gallery of Art. 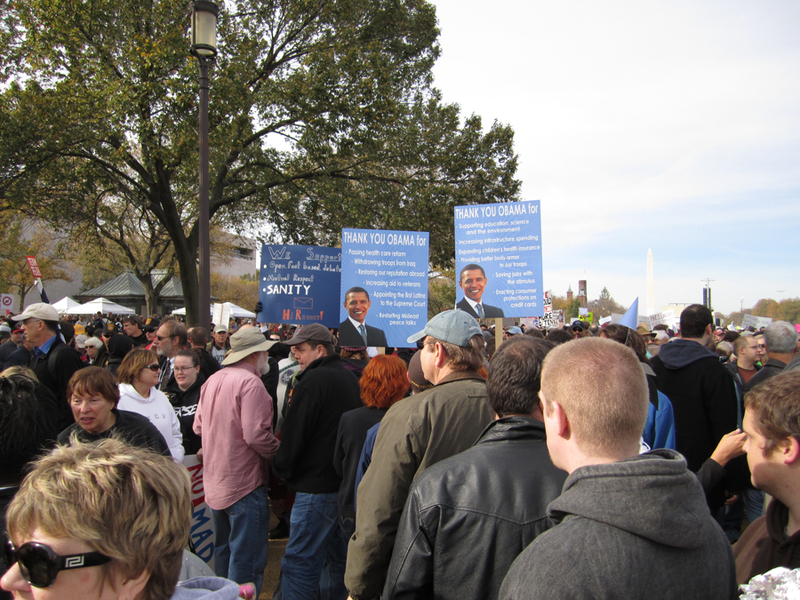 At the right of the image is the stage for Rally to Restore Sanity and/or Fear.